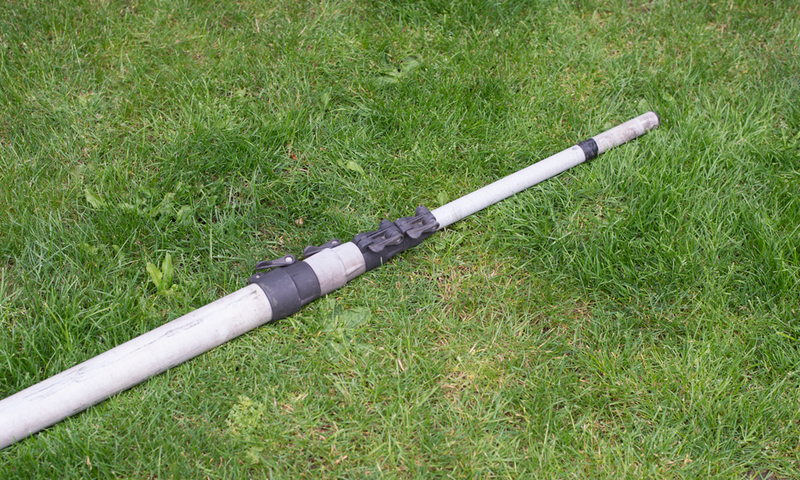 I considered camouflaging the pole using camouflage paint, but then decided I wanted to eventually replace the alloy pole with a fibreglass mast so left it as-is. Rather than paint the fibreglass I decided to use camouflage fabric tape instead. 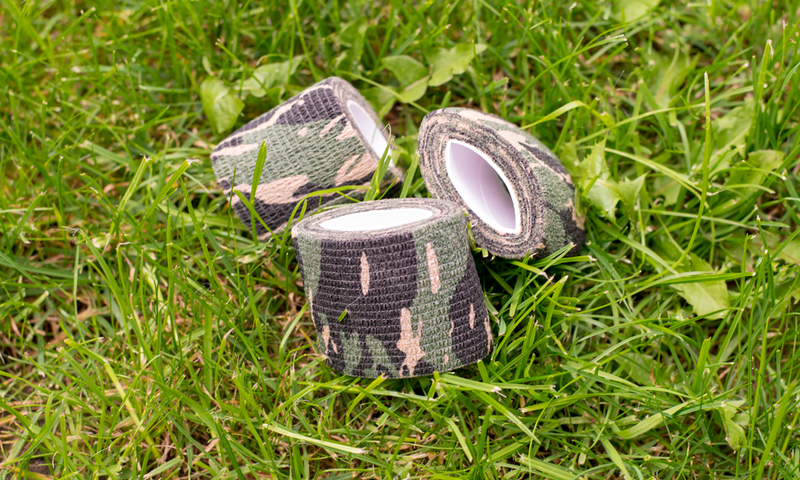 This tape can be used for a variety of different purposes including wrapping rifles, fishing gear etc. I purchased ‘Woodland’ camouflage tape from eBay. 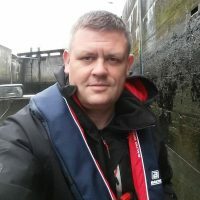 There are a lot of different suppliers of tape on eBay so I have included a ‘Buy it now‘ link to the item I purchased as it is good quality, does the job and the supplier delivers free of charge with fast delivery. Just click on the link and you will be taken to eBay. Each role is 5cm wide and 4.5m long. 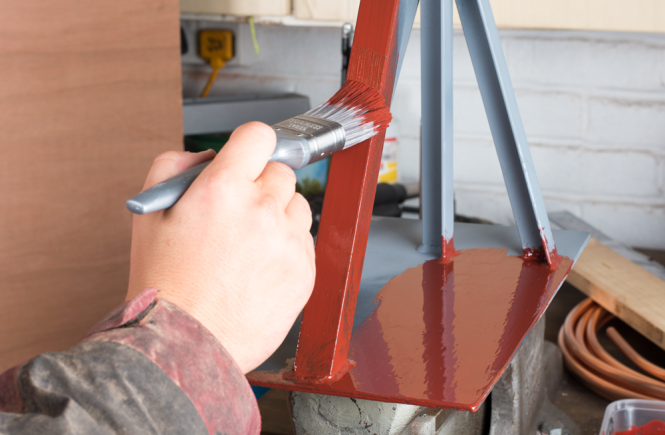 It’s worth noting that some paint contains metal so may not be suitable for certain applications, including some antenna projects. 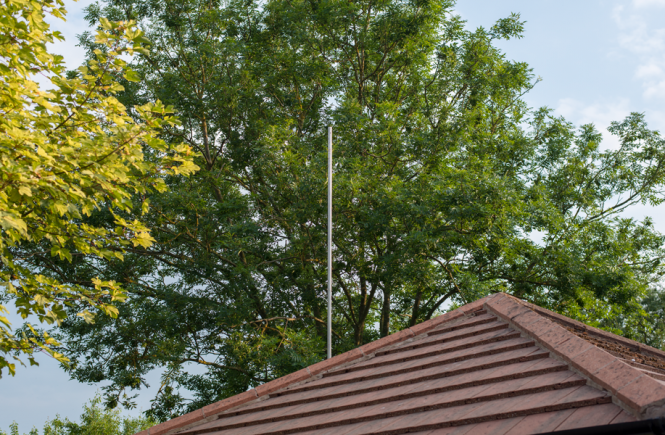 Below is a photo that shows the telescopic fibreglass mast I will be replacing it with. Starting at the top of the mast I wound the tape in a spiral with approximately 5mm overlap. The great thing is that this tape sticks to itself but doesn’t leave any residue on the objects you are wrapping. If I were to decide to sell my mast in the future I could simply remove the tape with little effort. This would not be possible if using paint without significant effort. 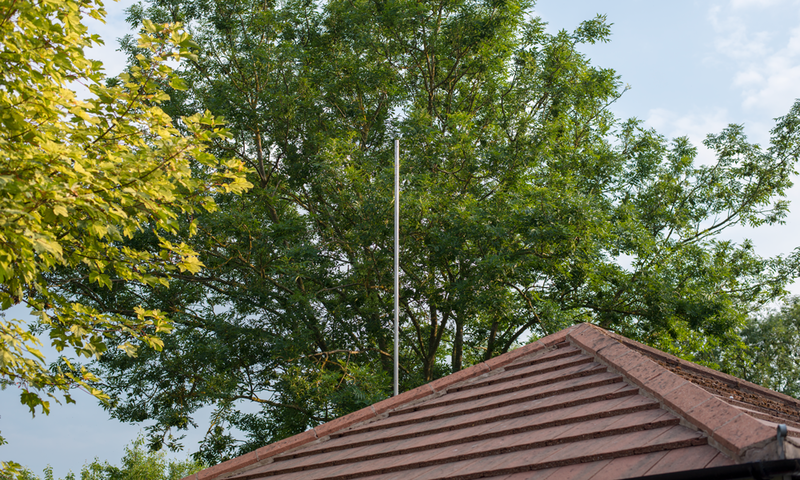 Below is a photo that shows the mast in a temporary location. 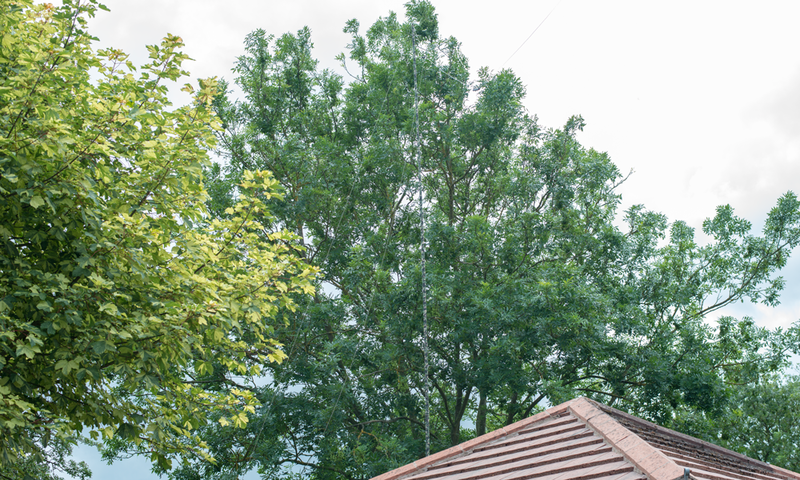 The colour of the leaves on this tree are lighter than the one where the mast will be permanently installed so I expect it will blend in much better. In my opinion though this already looks much better than the pole without the camouflage wrap. I think this is a really good solution and plan to use the tape to wrap some of my antenna’s to make them more stealthy / covert too. 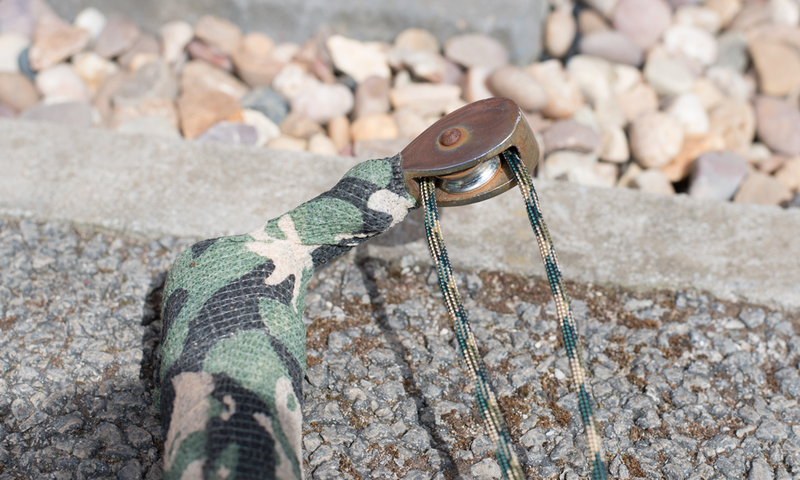 Once the mast is in place I need something to hoist the end of my end fed wire to the top so I purchased 100 feet of 3.2mm diameter, 550Ib breaking strain woodland camouflage Paracord from eBay. Again, there are a lot of different suppliers of para cord on eBay so I have included a ‘Buy it now‘ link to the item I purchased. 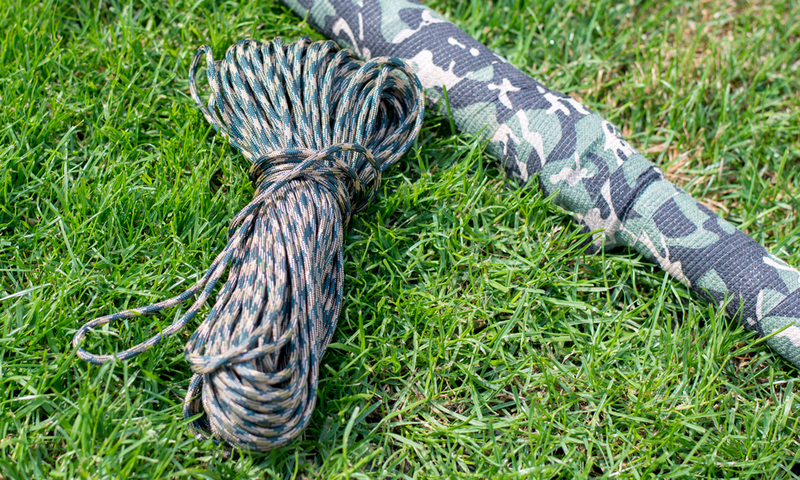 Like the camouflage tape, it is good quality, does the job and the supplier delivers free of charge with fast delivery. Just click on the link and you will be taken to eBay. Select ‘Woodland Camouflage’ in the items ‘Colour’ drop down box. Below is a photo of the pulley I fastened to the mast. And here it is. 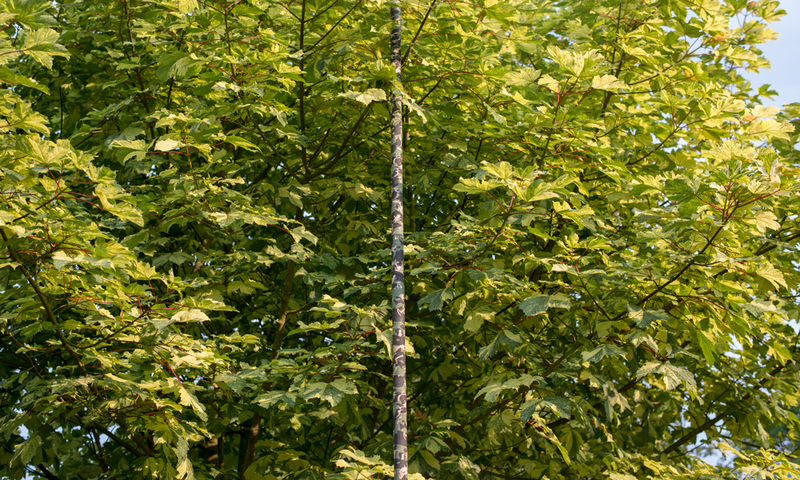 Final installation of my camouflaged fibreglass mast. Much higher and more discrete.